Welcome to my corner of the world! Glad you dropped by. Browse around and discover a collection of QSL cards from international broadcasters, old and new. Read an article or two about radios and the hobby of radio listening. Happy DXing!!! 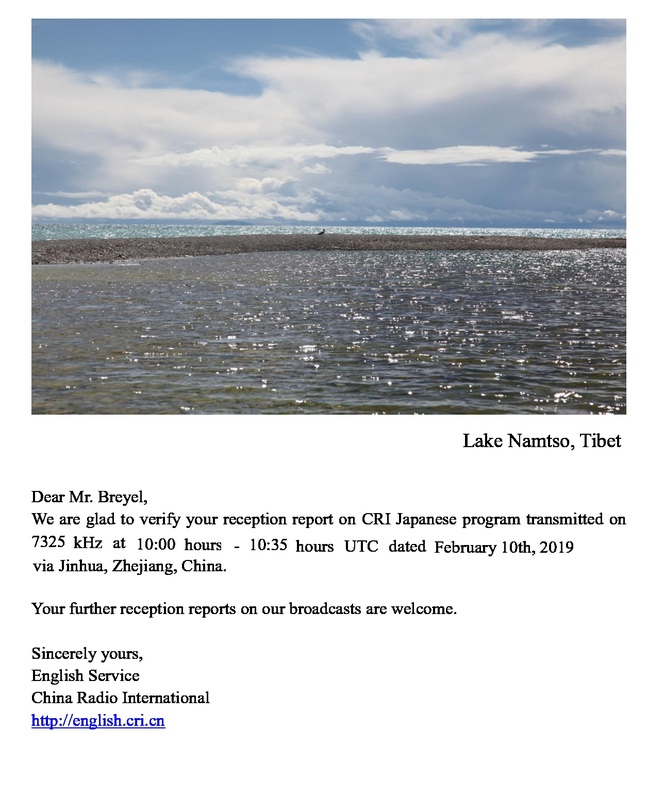 Radio China International via Jinhua, Zhejiang was heard on 10 February 2019. Japanese programming with Chinese pop tunes, news and children's fairy tales was noted from 10.00 till 10.35 UTC. 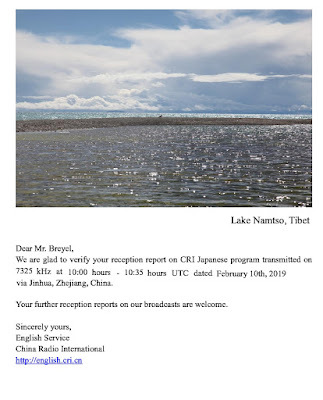 Reception on the short-wave frequency of 7.325 kHz rated a SINPO of 45544 -- good signal strength, no interference,clear audio content, only slight fading. HERE is CRI (Jinhua). Reception report was emailed to CRI English and CRI Japanese sections on the following day. An eQSL from the English section arrived on the same day. The Japanese section acknowledged my email. Time will tell whether an actual paper QSL card will arrive from the Japanese section; once upon a time they used to send out their QSL version. Text by T.L. Breyel. Travel theme. Powered by Blogger.